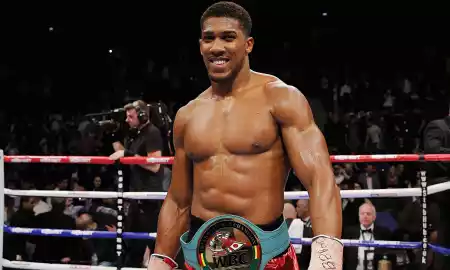 Anthony Joshua, Nigerian-born British boxer, on Thursday confirmed he would be fighting United States, US, boxer, Deontay Wilder in 2018. The World Heavyweights promoter, Eddie Hearn confirmed the news to Sky Sports. Prior to the confirmation, Wilder had challenged the British boxer to a bout. Few days ago, Hearn had revealed that the Nigeria born British professional boxer intends to “eat” Wilder during the world title unification fight next year. Wilder had called out Joshua and his promoters to stop hiding and pick a date for the bout.